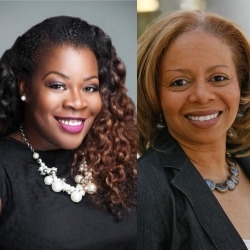 The Black Women's Health Imperative has appointed two new executives to lead communications and development. Monica G. Coleman will serve as Chief Communications Officer, and Ann M. McMikel as the Chief Development Officer. Atlanta, GA, March 02, 2019 --(PR.com)-- The Black Women’s Health Imperative (BWHI) recently announced the appointment of Monica G. Coleman as its Chief Communications Officer and Ann M. McMikel as the Chief Development Officer and Executive Director of SIS Circles. Coleman will lead BWHI’s marketing, media and digital strategy, while McMikel will leverage over 20 years of non-profit leadership experience to strengthen the organization’s relationships with a diverse base of donors. Ms. Coleman has over 17 years of integrated marketing communications experience in the non-profit, consumer products, and entertainment sectors, with subject matter expertise in multicultural consumer engagement. Her work has included collaborating with the High Impact HIV Prevention Programs of three government entities to successfully connect with African American consumers, and developing communications strategies to support education initiatives, community organizations, diversity recruiting and cultural celebrations. In 2006, she established and grew a marketing firm named M320 Consulting, with clients that included PepsiCo, AT&T, The Home Depot, Humana, Funk Fest, the DeKalb County Board of Health, the Georgia Department of Public Health, The City of Atlanta, and The National Black MBA Association. Over a two-year period, she led her team to produce close to 100 media placements, 52,000 engaged consumers on social media, over $1.2 million in marketing partnership revenue, and the facilitation of more than $160,000 in scholarships and donations to community organizations on behalf of corporate clients. Ms. Coleman’s experience will pair well with Mrs. McMikel’s, who is a global leader with extensive experience in nonprofit management, strategic planning, advocacy, communications, volunteer engagement, and fundraising. As the Vice President of Global Partnerships and Planning at the American Cancer Society, she successfully managed high-level global relationships with multilateral organizations to make cancer and other noncommunicable diseases a global health and development priority, including partnerships with the World Health Organization, UN agencies, the corporate sector and a broad range of civil society organizations in the developing world, including Africa, Latin America and India. Prior to joining BWHI, Ann served as the founding executive director of Step Up in Atlanta, GA where she was responsible for implementing Step Up's mission to propel girls from under-resourced communities to fulfill their potential. During her tenure, Step Up served over 150 teen girls and secured financial support from donors and partners throughout the philanthropic, educational and professional communities within Atlanta. Ms. Coleman is a graduate of Hampton University, where she was a Presidential Scholar and the recipient of the President’s Cup for her graduating class, and Mrs. McMikel is a proud first-generation college graduate and holds a Bachelor of Arts degree in English from Spelman College in Atlanta, GA, and a Masters degree from Northwestern University's Medill School of Journalism in Evanston, IL. Both reside in Atlanta, GA.